The scrolling design on this anniversary band is positively posh. 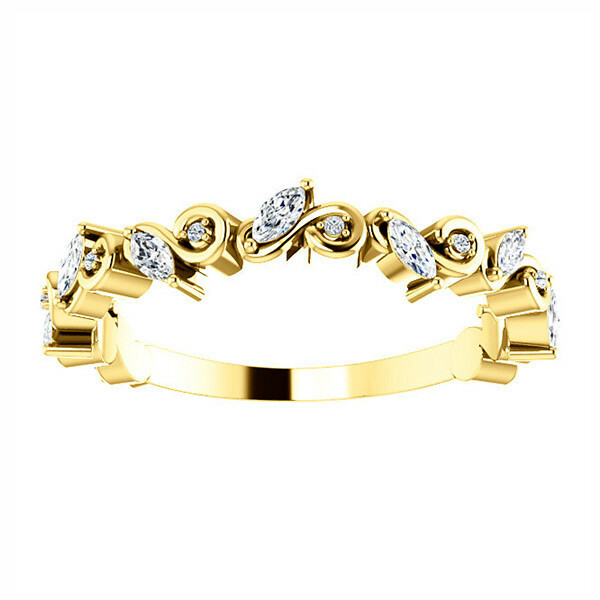 Crafted in 14K yellow gold, each scrolling flourish that makes up the band is embellished with an oval or round-shaped diamond. 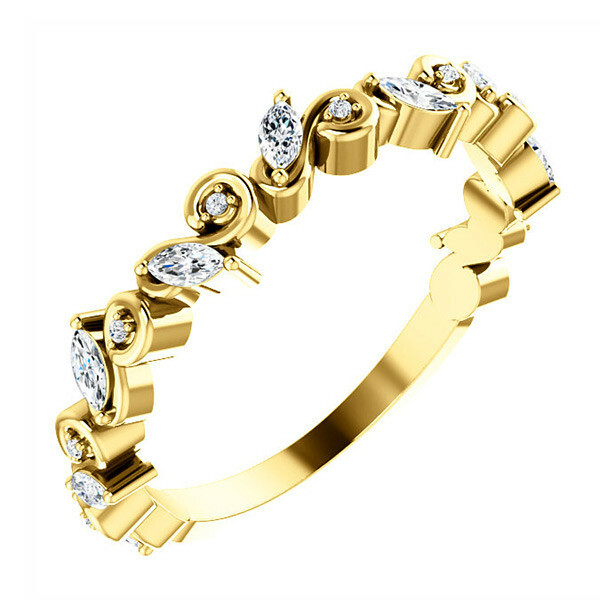 This gorgeous anniversary band is as unique as the woman you married.